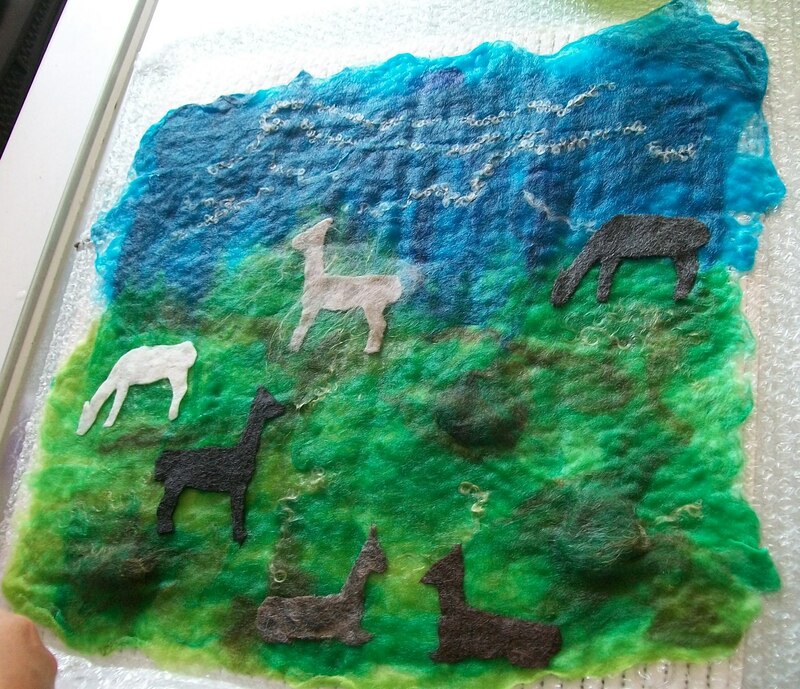 We have some exciting wet felting classes coming up on July 21! Reserve your space today! In the morning, we will be repeating our felted wall hanging class. This is an opportunity to let your imagination run free and create an incredible piece of felted art. We will have several examples to get your creative juices flowing, then you can choose from alpaca and wool fibers, stones, beads, or whatever else you want to include in your piece. Feel free to bring anything you might like to include in your wall hanging. Pictured here are several hangings created in class last year and by our class instructor, local felt artist Karen Simpson. You can also see pictures of the works in progress on our Facebook page.
. 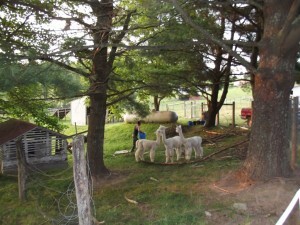 In the afternoon, we will be doing an all new class for Peaceful Heart Alpacas. Karen Simpson will be teaching us some new techniques for creating dyed and felted scarves. You will take 2 white silk scarves and transfer the patterns and colors from mens’ silk neckties to the scarves to create wonderful designs and end up with fabulous one of a kind scarves. 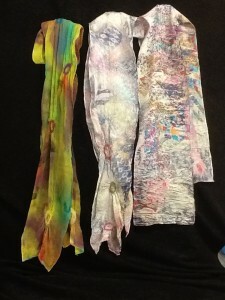 (If you have some silk ties you would like to recycle in this creative way, please bring them. If not, there will be plenty to choose from provided in the class.) Next you will take a predyed silk scarf OR one of the previously mentioned scarves and “needle felt” wool or alpaca fiber to the scarf and then wet felt the fiber to cause shrinkage and create another unique scarf. This class promises to become another farm favorite. Join us on July 21 for a fun and creative day. Take one or both classes. 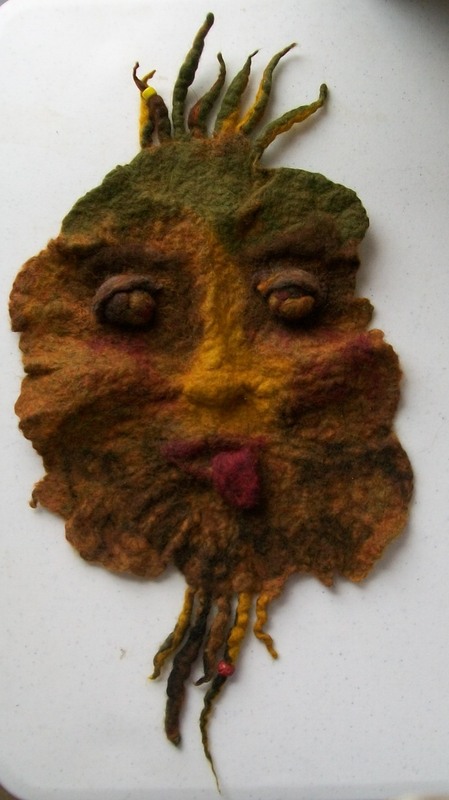 The felted wall hanging class will meet from 8am-12pm. 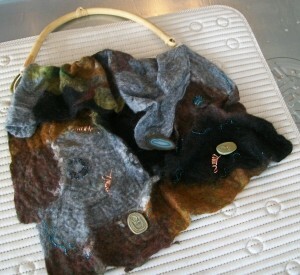 The dyed and felted scarf class meets from 1-5pm. Lunch will be provided between the classes for those attending both. Class sizes are limited (particularly for the wall hanging class, we can accommodate more in the scarf class.) A $25 deposit will reserve your space in either or both classes. You can register online, by phone, or at the farm. Our class will meet from 9am-4pm on Saturday, July 28. The class costs $60 plus materials (approximately $35-50). 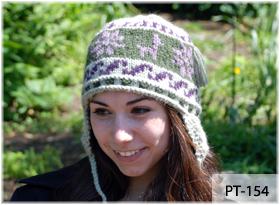 The project is knit with size 8 knitting needles. We will have some for purchase if you do not have a favorite set of your own. We will meet to select our yarns in the yarn shop, then come up to knit in our fiber studio in the upper pasture surrounded by alpacas. Lunch will be provided during the class. Class size is limited and preregistration required. A $25 deposit will reserve your space. You can register by phone or online. Inger Sikora was born and lived in Denmark until the age of 20. In a country where everyone learns to knit in first grade, Inger was ahead of the crowd and learned even before she began school. She likes to create things, so very often will use patterns as a guideline or create her own patterns. Inger loves to knit; if she’s sitting, she’s knitting. She very much enjoys teaching others this wonderfully relaxing fiber art. The “derecho” that swept across much of the country last Friday night hit our farm. We luckily did not suffer any damage on the farm from the storm, but it was an incredibly strong wind. It began with an eerie stillness and loud roar in the distance, followed by a fast moving, intense wind. We lost power that night, which on the farm also means our water pumps went out, and we have been learning how to keep a farm running with no electricity or running water since then. 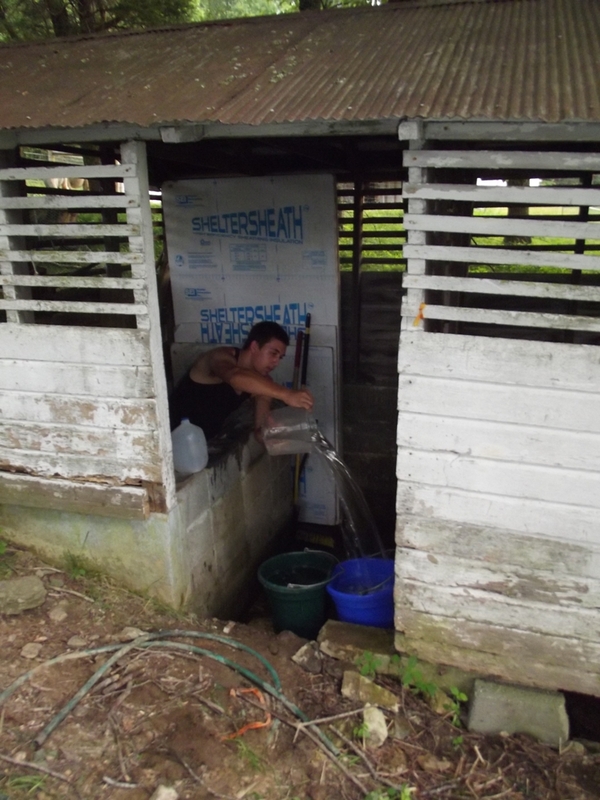 Filling water buckets from the spring. Last weekend, we had one of our weaving on the triangle loom classes. We had had a lovely start on Friday evening, and luckily everyone was safely home when the storm hit. Saturday and Sunday were a bit more challenging, but everyone was very understanding about the power and water situation. We got through just fine, enjoying the weaving and the wonderful food that Linda is famous for providing during classes. The addition of a quickly purchased generator to keep the refrigerator and air conditioning running, helped make it a pleasant weekend, despite our higher than normal temperatures. Carrying water from the spring house, while Milton, Lightning and Sunspot look on. Day to day, we have felt very blessed to have a spring that has allowed us to keep the alpacas supplied with cool water. David has been doing the bulk of the work getting the water from the spring and loaded into our truck to haul around the farm. All the alpacas appreciate the regular water deliveries, though Ruthie has been disappointed that we are not allowing her to wash her feet in the buckets like she enjoys. 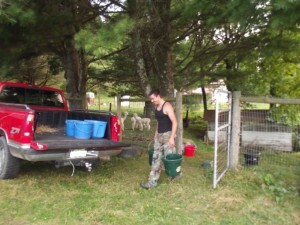 We’ve tried to explain that as long as it has to be carried up to the pastures, water is only for drinking. Loading the truck for his twice daily rounds. 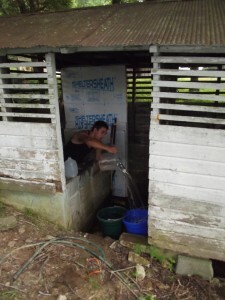 David has been keeping the family supplied with water for toilets and bathing, but we will all be thrilled to have our running water back as well as electricity for ceiling fans and lights in the store. We appreciate everyone’s patience who’s visited the store this week. We are open, and are even able to accept credit cards using our “slider”. They are estimating that Carroll County should get electricity back on by Friday night, though we are hoping for sooner as the power company is working hard and has gotten electricity on for much our the area. Farming without electricity and running water has been a bit of a challenge, and an inconvenience that we’d rather not repeat. It has made us truly appreciate the conveniences we have and the planning of the original owners of the farm to enclose our wonderful spring back when hauling water was a daily routine. Update: Our power was restored late Thursday afternoon. It is wonderful to have running water again.